Professor Ian Lamont Boyd, Chief Scientific Adviser to the UK Department of Environment, Food and Rural Affairs, will present this year's Scottish Research Institutes' Annual Lecture. The Science for Life Lecture will be given at the Royal Society of Edinburgh on 30 May and attendees will also be able to hear from the winners of the Annual Inter-Institute Student Competition. Attendance at the lecture is free but places should be booked in advance by emailing events@hutton.ac.uk. Infectious disease is bad news for everybody. Fast-moving diseases like foot and mouth disease leave little time for politics to take a grip but slow moving diseases such as ash dieback or bovine tuberculosis (bTB) are a different matter. In these cases the social and economic implications result in arguments about who should carry the costs. There is a need for better methods to deal with this problem. I will illustrate this with the case of bTB management in the UK. This is a disease that is currently uncontrolled and is having an increasing economic and social impact. Interventions to control the disease are limited but we need to proceed toward a solution that maximises their benefits even in the face of criticism based upon partial understanding of the objective. This is particularly apparent with the social focus upon badgers as the cause/solution, and the tendency even among experts to settle on single-factor causation, when the real epidemiological picture is much more complex. Scientific Adviser to the UK Department of Environment, Food and Rural Affairs. In parallel to his formal positions he has chaired, co-chaired or directed international scientific assessments; his activities focusing upon the management of human impacts on the marine environment. Ian was responsible for establishing the Scottish Oceans Institute at the University of St Andrews and the Marine Alliance for Science and Technology for Scotland, one of Scotland’s cross-institutional research pools including eight of Scotland’s universities. He established several operating companies for the University of St Andrews and these now operate globally with subsidiaries in the United States, Canada and Hong Kong. As Director of the NERC Sea Mammal Research Unit he was responsible for advising Defra and the Scottish Government about policy related to marine mammals. 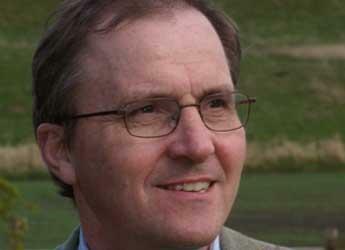 He is also a member of the Scottish Science Advisory Council and is on the Board of Reviewing Editors of Science. Professor Boyd has received numerous honours and awards recognising his contributions to science, including the Scientific Medal of the Zoological Society of London, the Bruce Medal (awarded once every four years) for his research in Polar Science and has been elected as a Fellow of the Royal Society of Edinburgh, Scotland’s National Academy, and is a Fellow of the Society of Biology.